On the morning of April 15, 2017, Gallery 16 and artist Ala Ebtekar created an edition of cyanotype prints on the roof of G16 in San Francisco. This video documents this extraordinary project. This monograph of Dean Byington's work offers a unique view of the artist’s history, source materials, and working methods. It features an original short story and poem by the acclaimed author Rick Moody with additional text by Griff Williams. 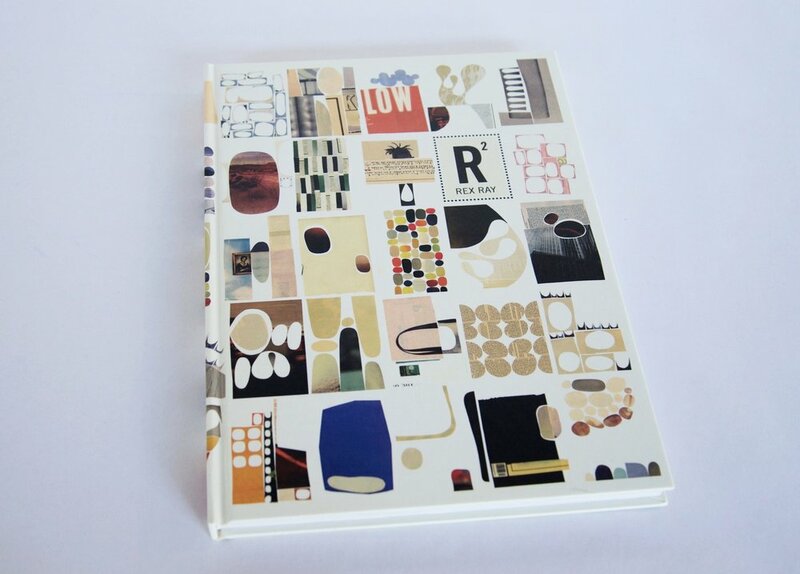 The book was designed by Griff Williams and Troy Peters, published by Gallery 16 Editions. 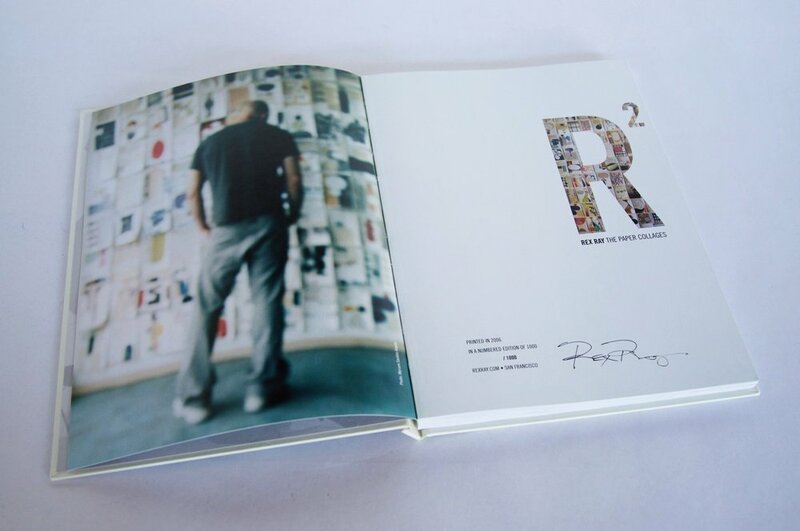 This monograph is the only book focused on the paper collage of of the late artist Rex Ray. Rex Ray: The Paper Collages. Rex Ray’s work extends across mediums, from graphic design to paintings. But it’s his series of paper collages that are most easily identifiable, and, arguably, his most beloved. Rex Ray: The Paper Collages is a sold out limited-edition volume that features a full selection of the works and presents them in full color. The work spans from 1995-2001. These Are The People In Your Neighborhood celebrates and chronicles the first sixteen years of Gallery 16‚ an innovative exhibition space and publishing program in San Francisco. Elliot Anderson, Bill Berkson, Libby Black, Rebeca Bollinger, Ann Chamberlain, Adriane Colburn, Lowell Darling, Lauren Davies, Amy Ellingson, Emigre, Harrell Fletcher, Amy Franceschini, Michelle Grabner, Mark Grotjahn, Maya Hayuk, Cliff Hengst, Arturo Herrera, Lynn Hershman, Scott Hewicker, Jim Isermann, Colter Jacobsen, Xylor Jane, William Kentridge, Margaret Kilgallen, Brad Killam, Charles Linder, Adam Lowe, Kara Maria, Martin McMurray, Tucker Nichols, Shaun O'Dell, Geof Oppenheimer, Deborah Oropallo, Gay Outlaw, Rex Ray, Phil Ross, Carol Selter, Paul Sietsema, Alice Shaw, Sonny Smith, Wayne Smith, Darren Waterston, Griff Williams, and Alex Zecca. Text by Griff Williams. Designed by Griff Williams and Troy Peters. In the back of BILL, Bill Berkson writes, "The words and title for BILL popped out of a juvenile detective novel Tom Veitch gave me around 1980. Instantly, just flipping through this little illustrated book occasioned an emergency. The editorial imagination went to work. Soon, having typed a series of short sentences, paragraphs and stray phrases towards the bottom edge of unusually thin 8 1/2" by 11" sheets... I set aside the twenty-or-so pages and forgot about them." The story was then shelved in a manila folder for 25 years. Berkson revisited the story in 2006 and decided the blank pages needed artwork. With the help of Mac McGinnes, it was decided that artist Colter Jacobsen would be a perfect fit. Jacobsen found inspiration for the project in a collection of postcards dating from early the 1900s through the 1980s. With a slow and deliberate attentiveness he began a series of drawings. He says, "I felt I was responding to another time, nearer to when I was born, a time thirty years before I was born, and recontextualizing these times into images for today." Within a year, the new BILL emerged, a fresh creation, in its present splendor. Designed by Griff Williams and Troy Peters. Published by Gallery 16 Editions. 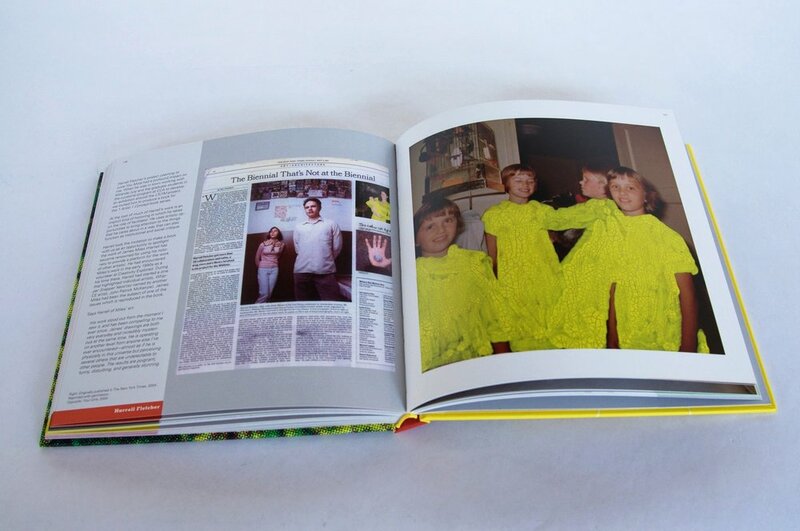 Artist book of photographs taken by Tucker Nichols. The 92 page book was designed by McFadden & Thorpe for the artists Gallery 16 show in 2017. It was published by Gallery 16 Editions. A series of books published by Gallery 16 Editions. The book series was conceived by Griff Williams and artist Rob Craigie. Artist included Amy Franceschini, Harrell Fletcher with James Miles, Alice Shaw, Tucker Nichols. Victory Gardens 2007 chronicles Amy Franceschini's inspired re-imagining of the original wartime Victory Garden program. The book features essays by Lucy Lippard and Mike Davis along with historical photos and context, and project documentation and insight. Franceschini's Victory Gardens 2007+ was presented as a series of actions, sculptural icons, and ephemera during the San Francisco Museum of Modern Art SECA Award show in January of 2007. The project was initially a small pilot program designed to evolve into a larger plan for a city supported food system. Designed by Griff Williams and Troy Peters. Published by Gallery 16 Editions and The Expanding Color System. When Harrell Fletcher was invited to produce the third book of the 1 Artist, 1 Concept book series, he chose to show the work of James Miles. Says Fletcher of Miles' art, "His work stood out from the moment I saw it, and has been compelling to me ever since. James' drawings are both very everyday and incredibly mysterious at the same time. He is operating on another level from anyone else I've ever encountered -- almost as if he is physically in this universe but perceiving several others that are undetectable to other people. The results are poignant, funny, disturbing, and generally stunning."